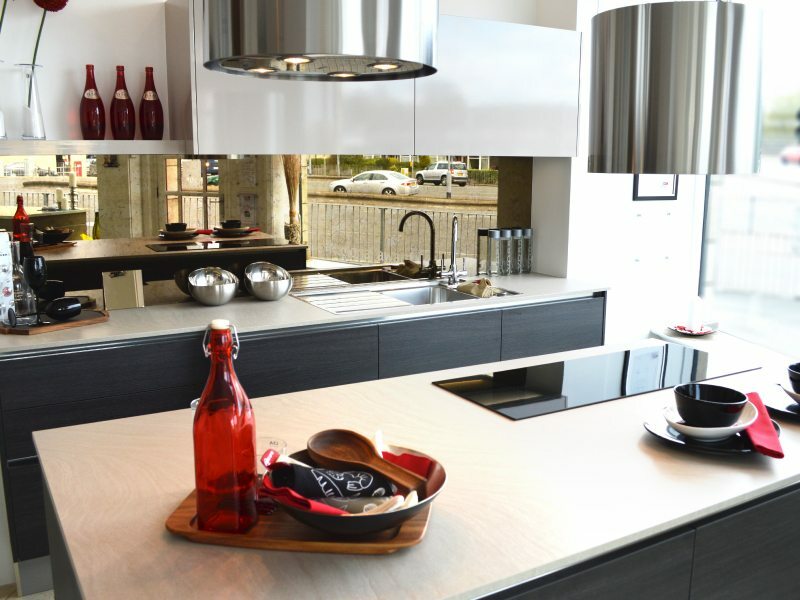 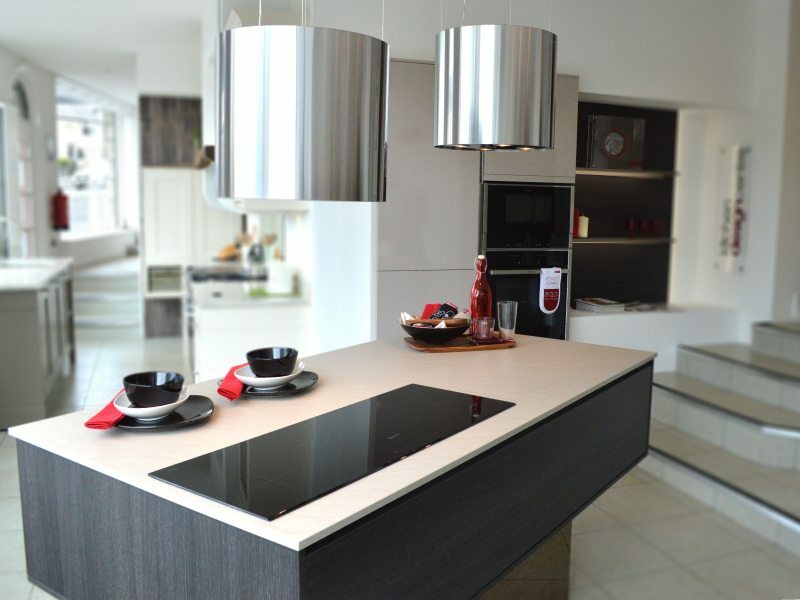 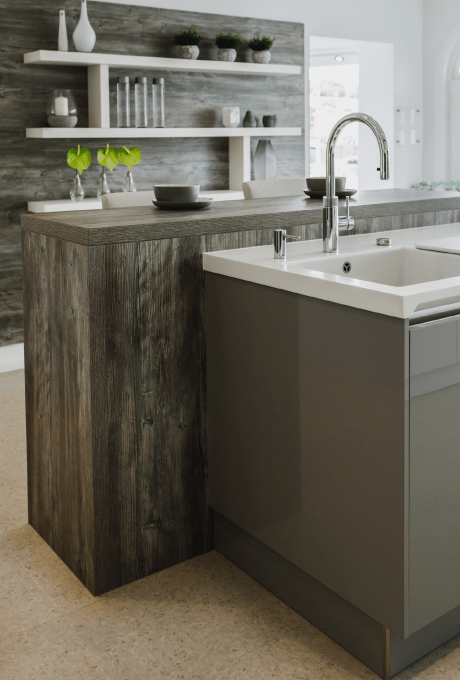 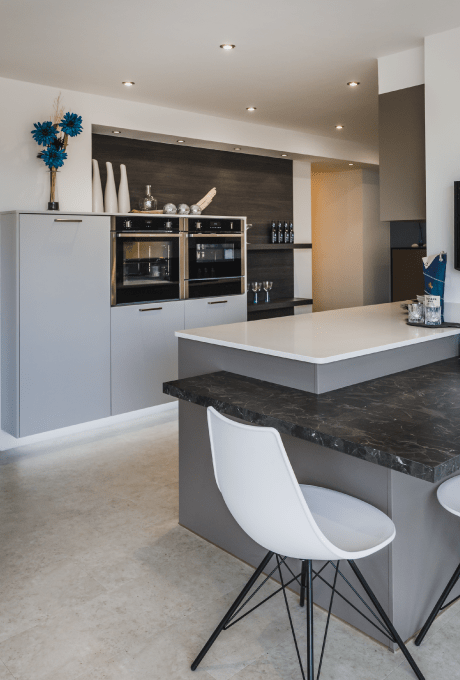 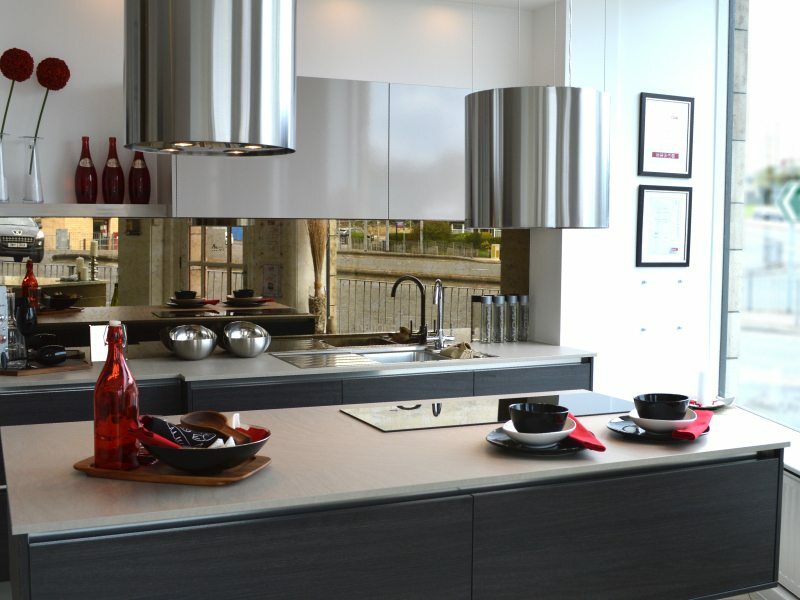 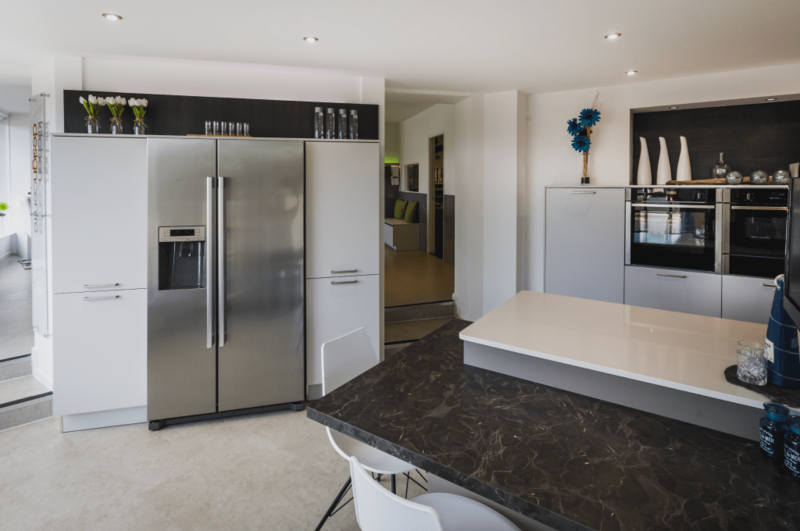 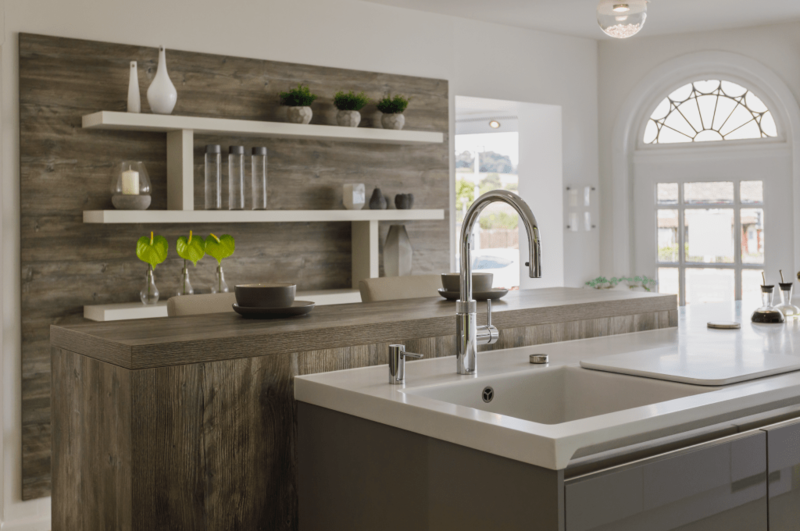 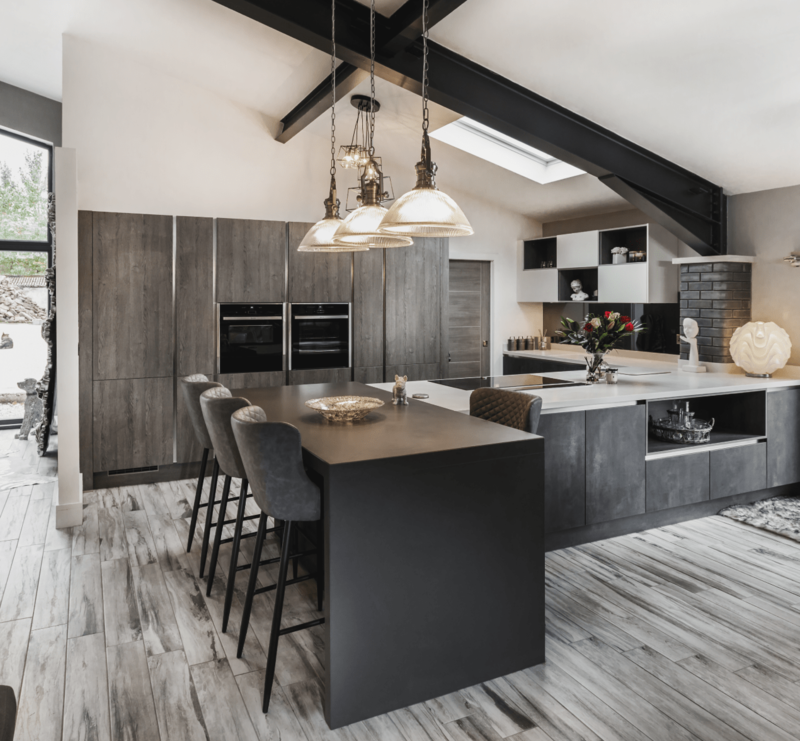 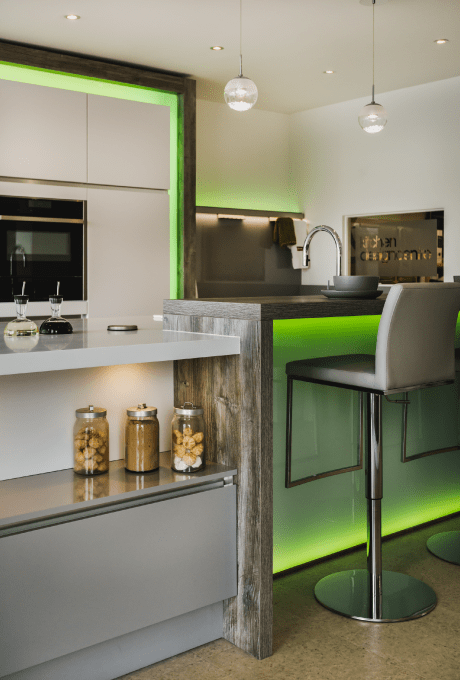 Conveniently located at the Brownhill roundabout – close to the M65 – our Blackburn kitchen showroom offers a fantastic selection of fitted kitchen displays, including innovative contemporary kitchens and traditional Shaker-style designs. 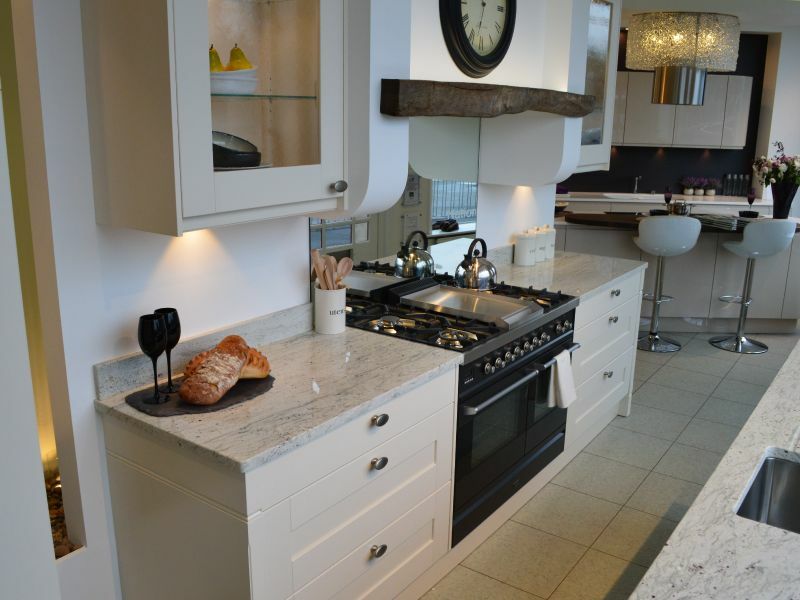 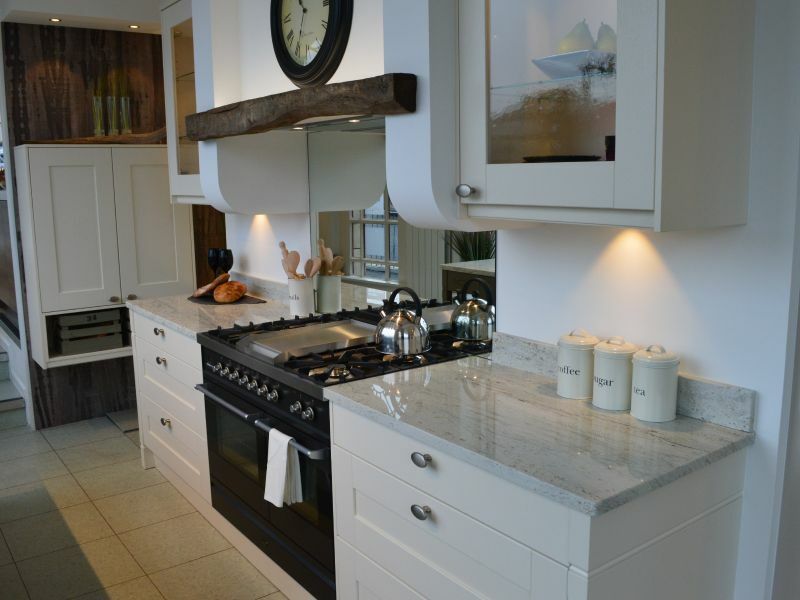 We’re open on weekdays and Saturdays, so you’ve got plenty of time to pop in and discuss your plans for your ideal kitchen. 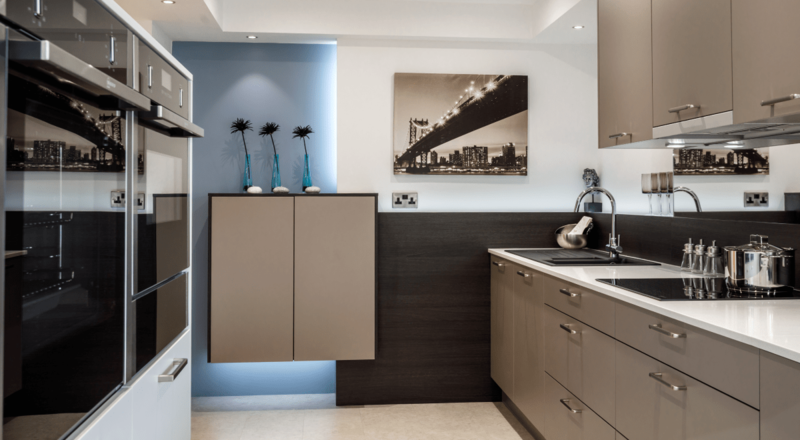 We’re always pleased to see you! 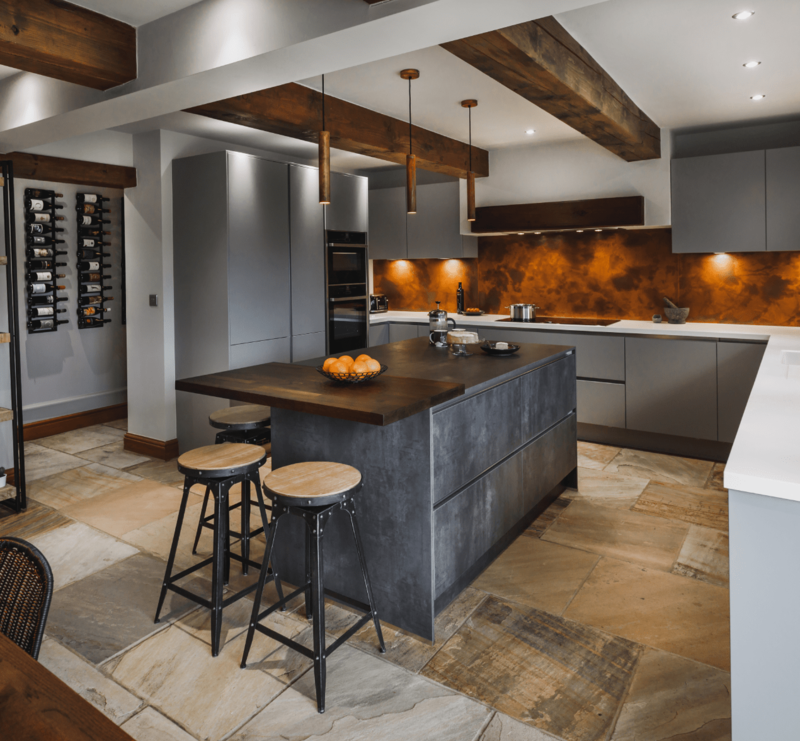 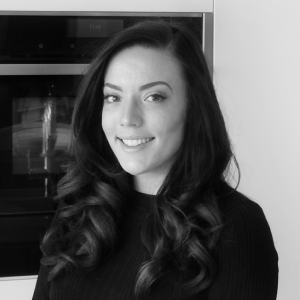 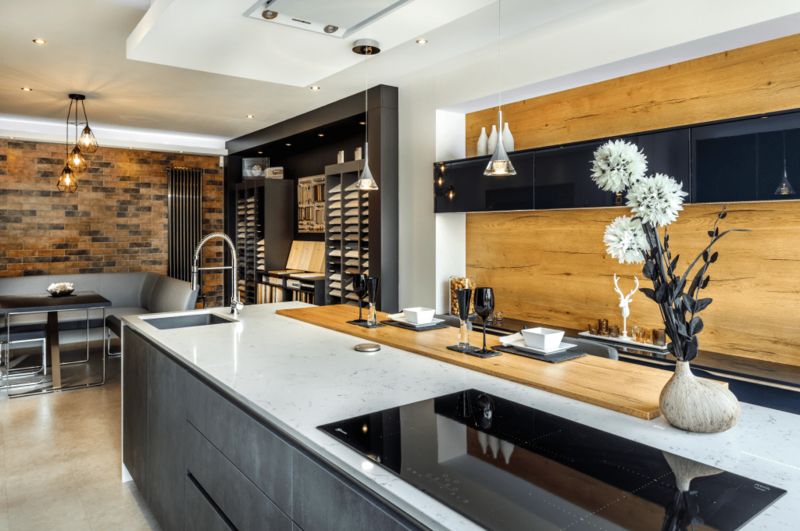 While you’re here, feel free to book an appointment with our award-winning kitchen designers – passionate creatives who are committed to realising the vision of your dream kitchen right down to the very last detail. 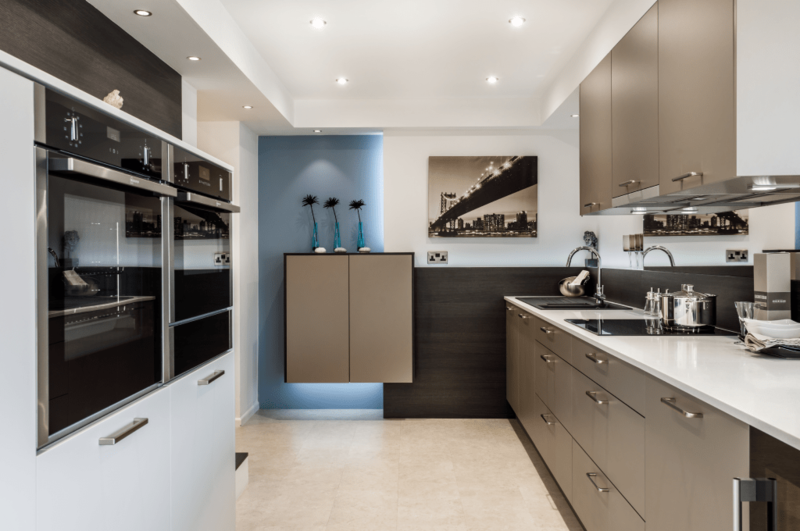 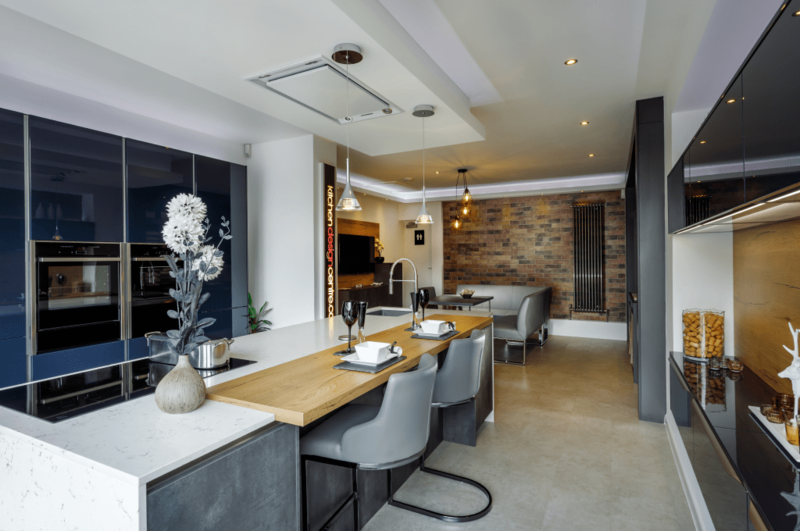 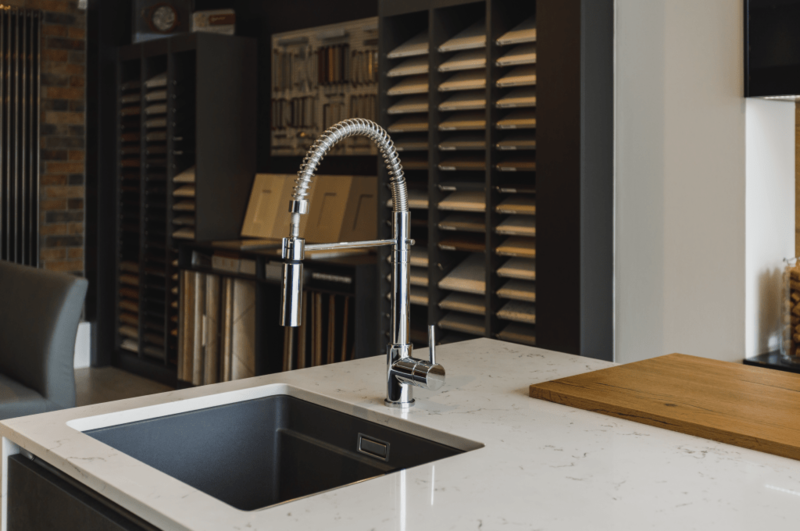 Your personal kitchen designer will also act as your dedicated project manager, giving you a single point of contact throughout the entire design process. 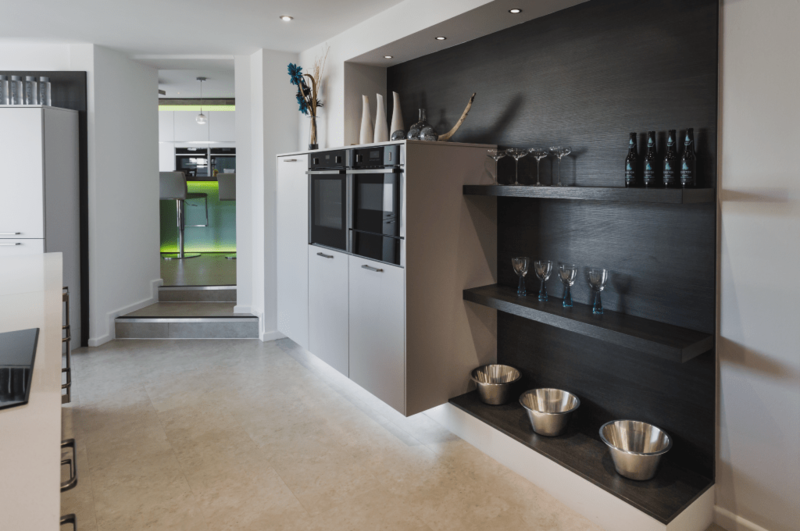 Call us or pop in to book a free design visit for your home today! 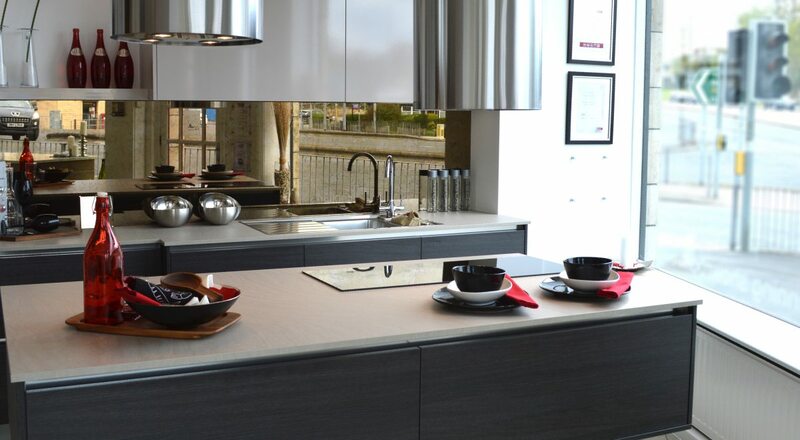 Late night showroom appointments are available by prior arrangement. 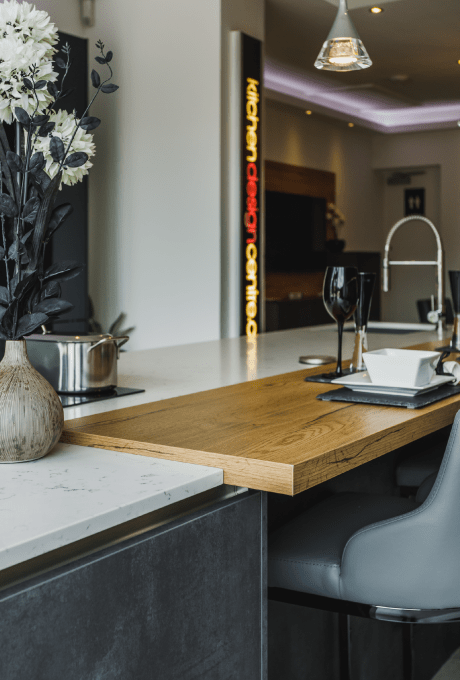 Sunday & Late night appointments are available by prior arrangement. 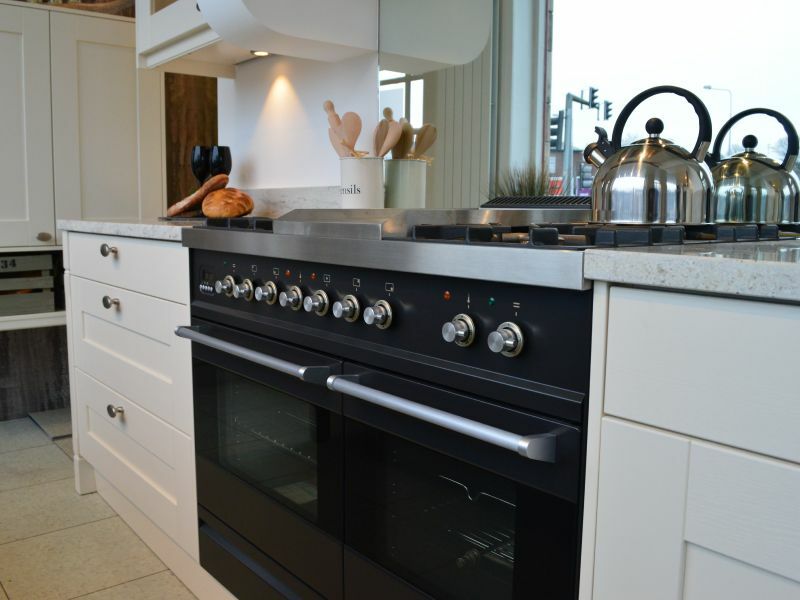 Please contact the showroom to check availability. 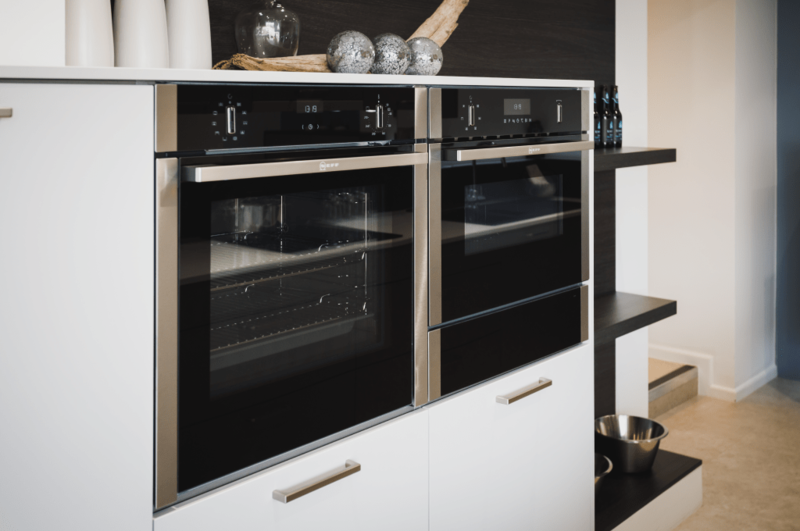 Endlessly practical, stunningly attractive – and built with you in mind. 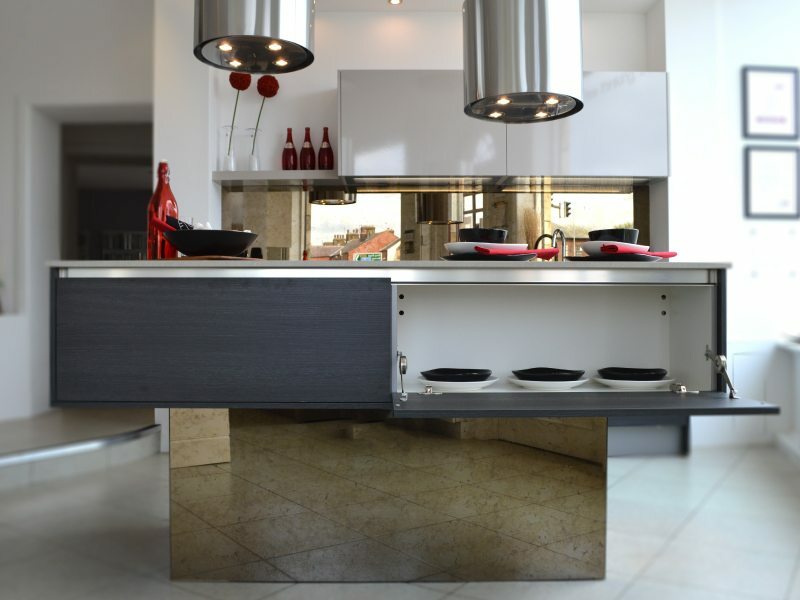 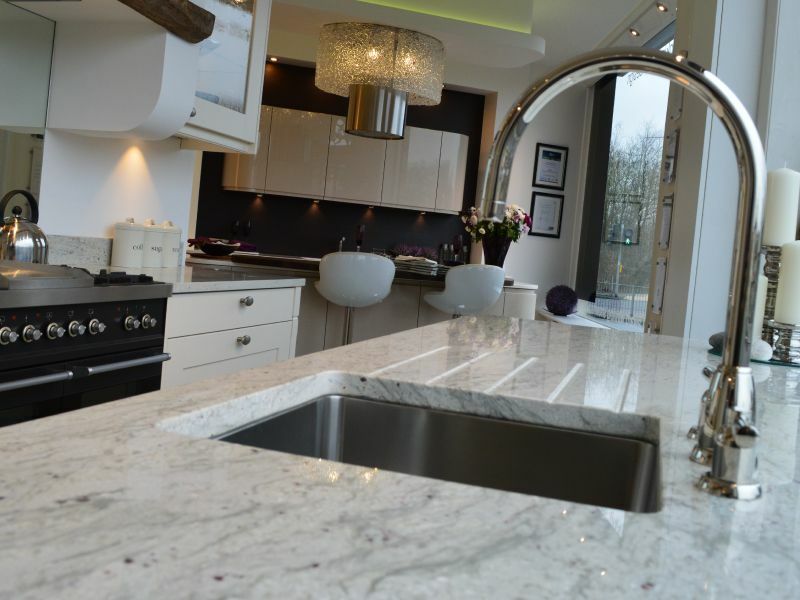 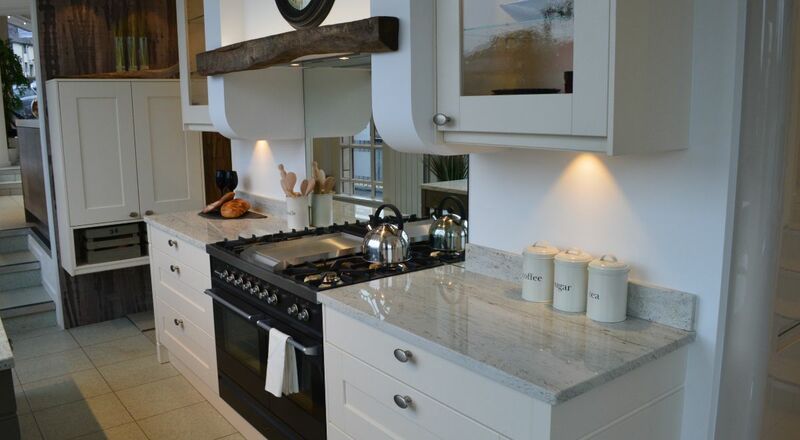 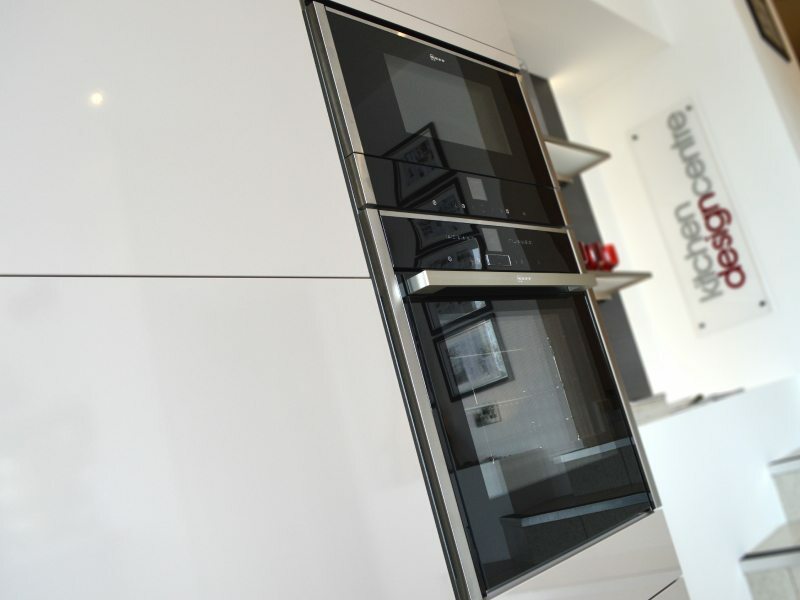 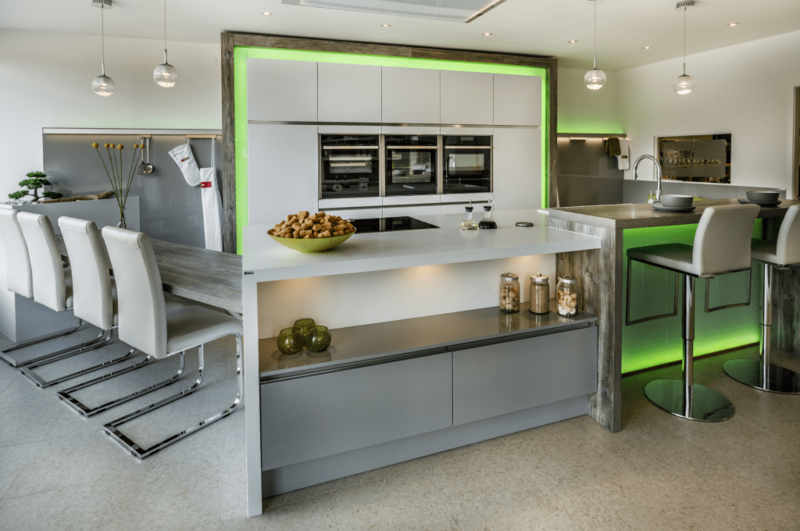 All our fitted kitchen displays in our Blackburn showroom are the products of tireless hard work and creativity by our in-house designers here at Kitchen Design Centre. 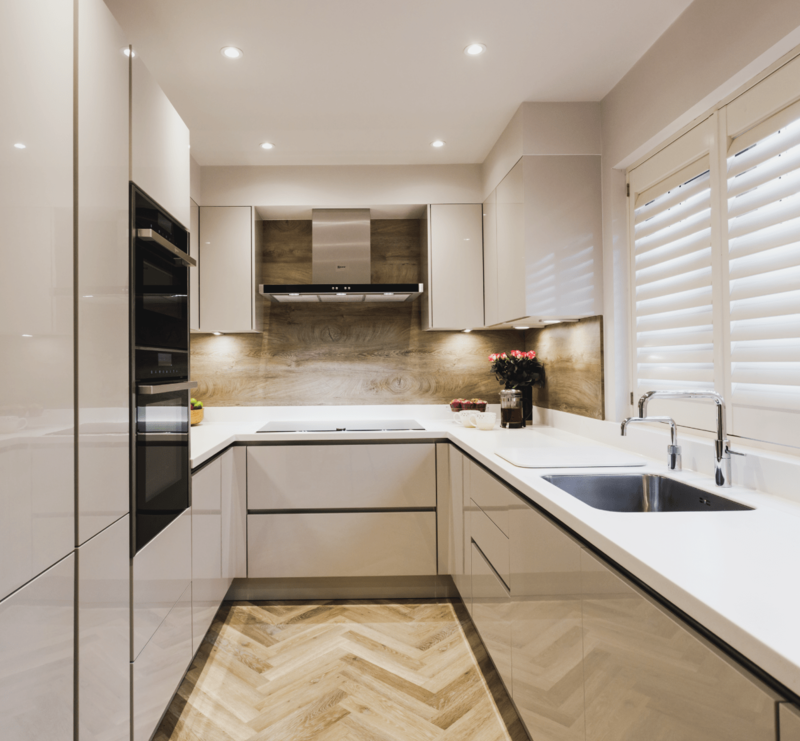 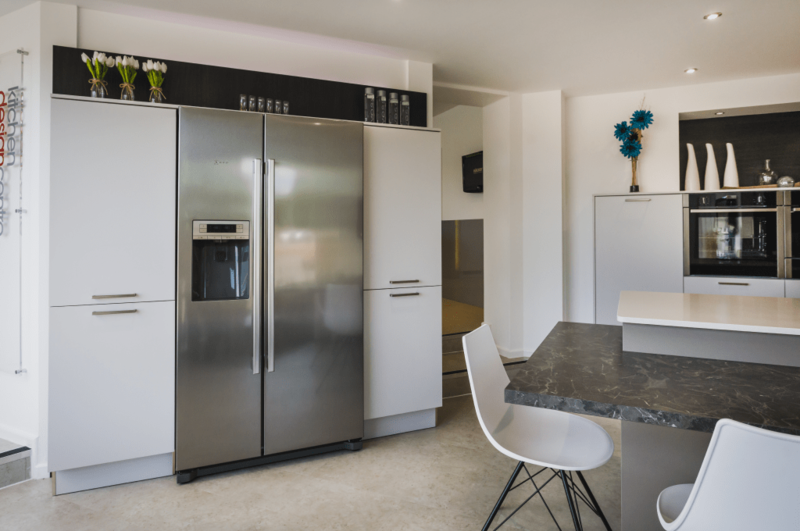 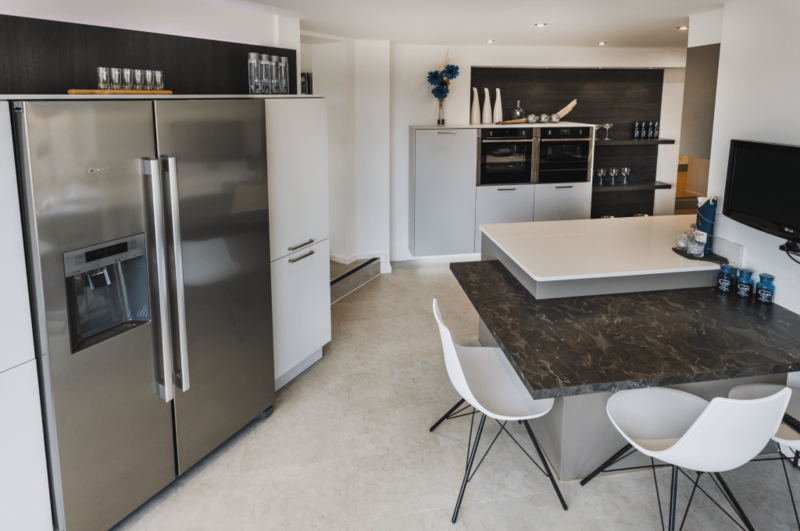 No two of our kitchens are the same; each has its own distinctive feel and personality, so whatever your tastes or individual requirements, you can be sure that we’ll have a kitchen to suit you. 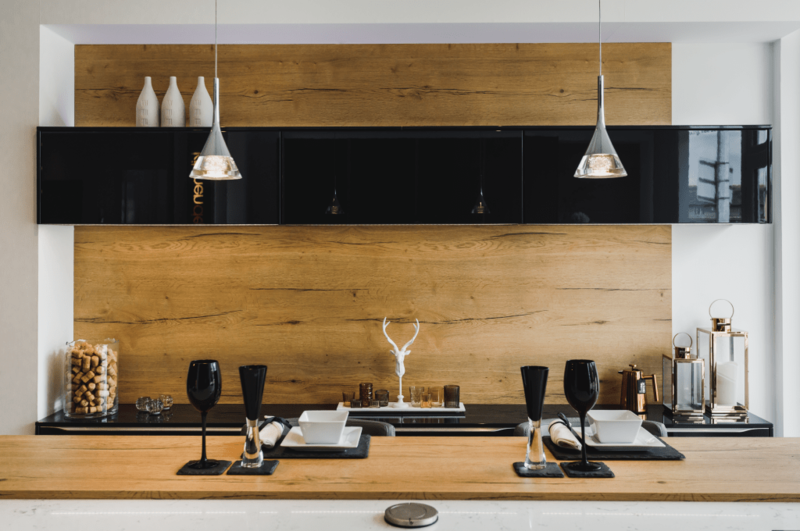 Curious to find out which one that is? 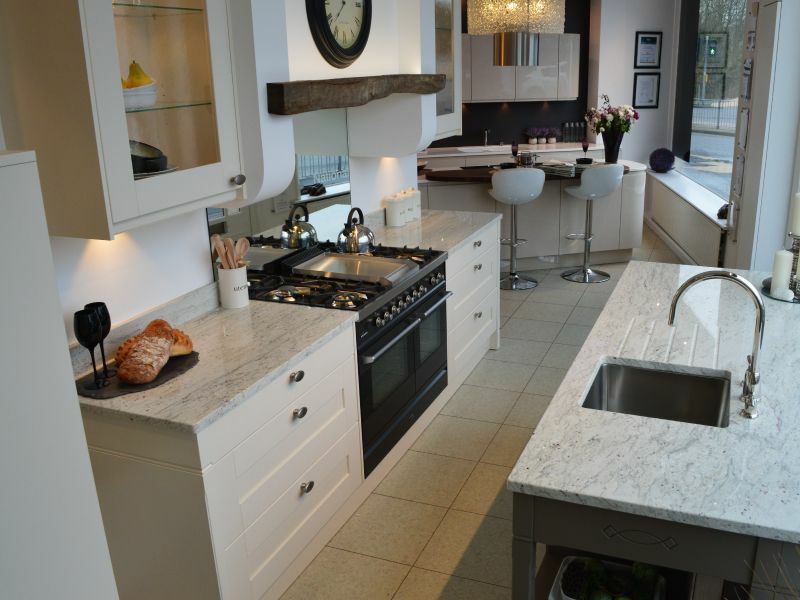 Pop into our Blackburn showroom to experience them for yourself! 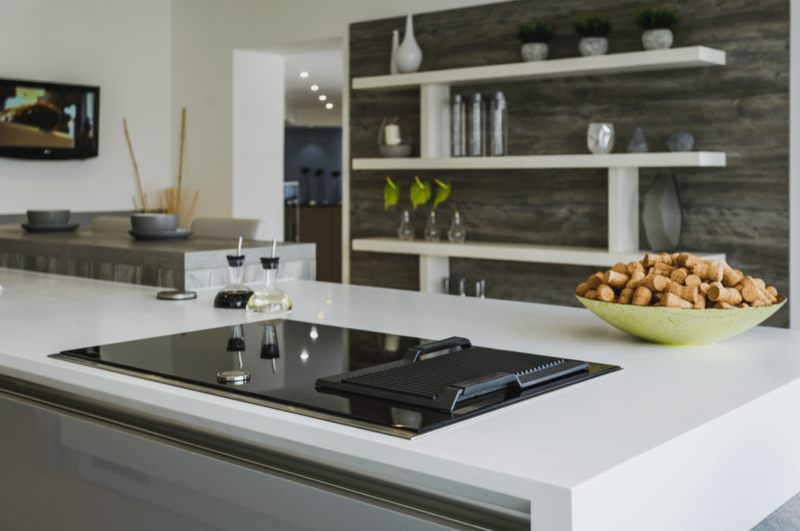 What our clients love about us most is our customer-focused approach. 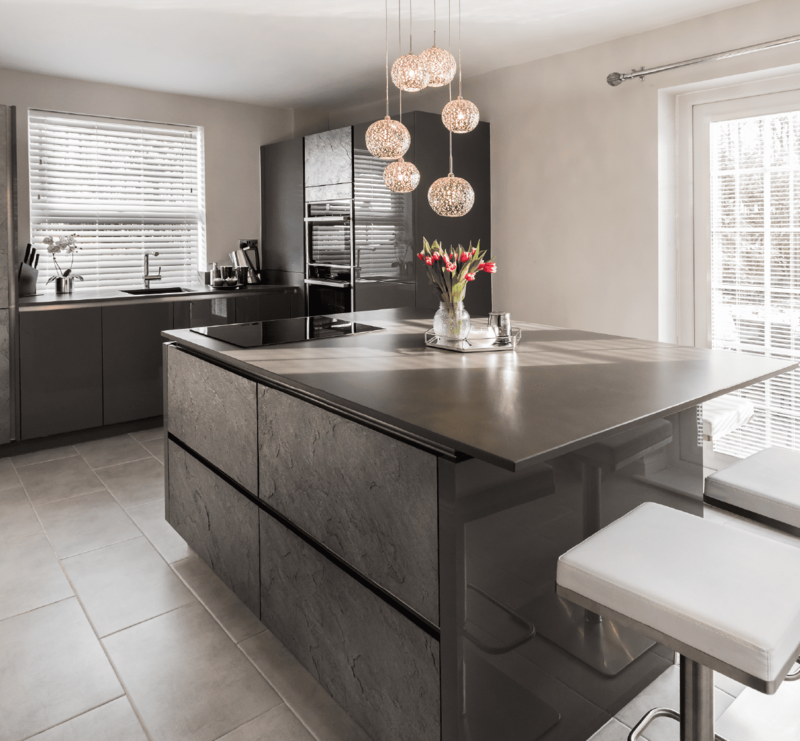 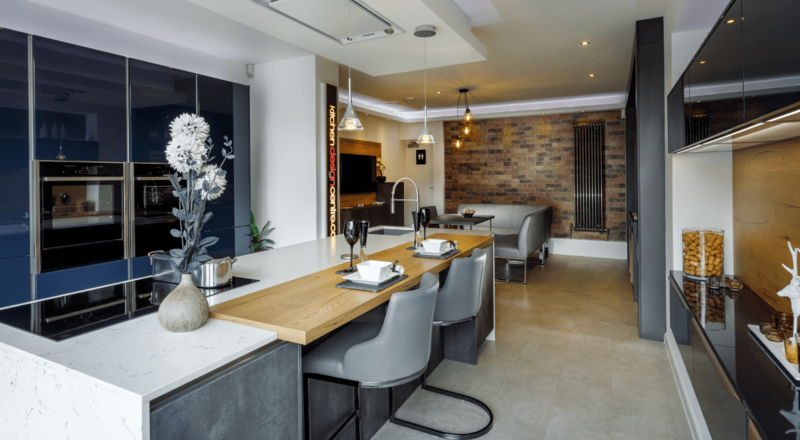 We’re passionate about tailoring our designs to fit your lifestyle, so whether you want a space to entertain or a family-centric kitchen to spend quality time together, our designers know exactly how to make your dream kitchen a reality. 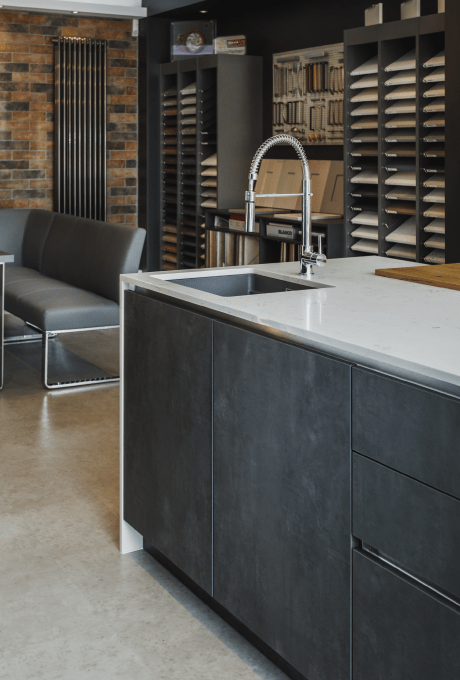 When you book an appointment, you’ll be introduced to your personal kitchen designer, who will sit down with you in our dedicated meeting space to discuss what you want for your dream kitchen. 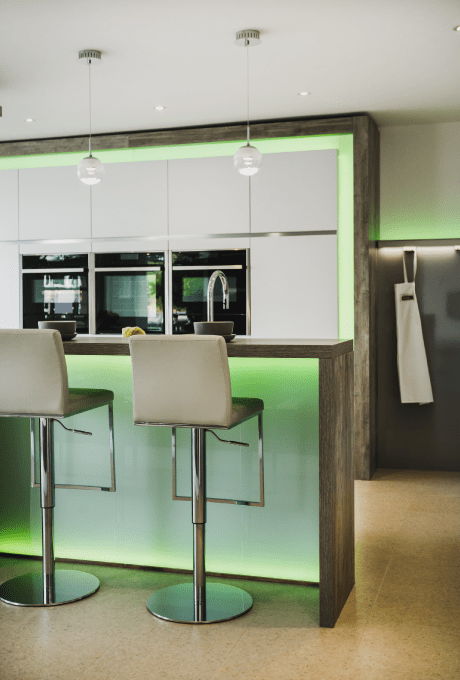 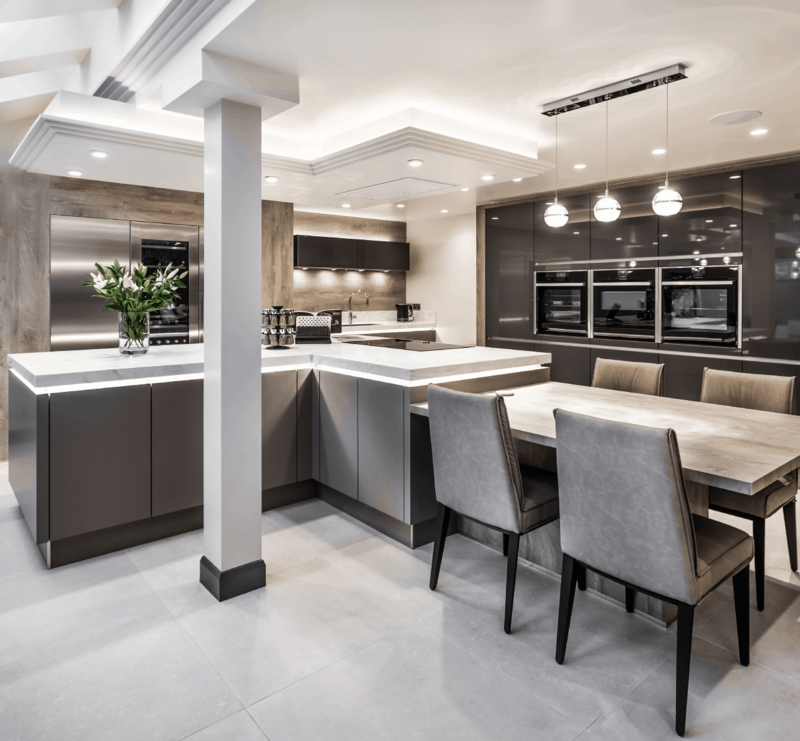 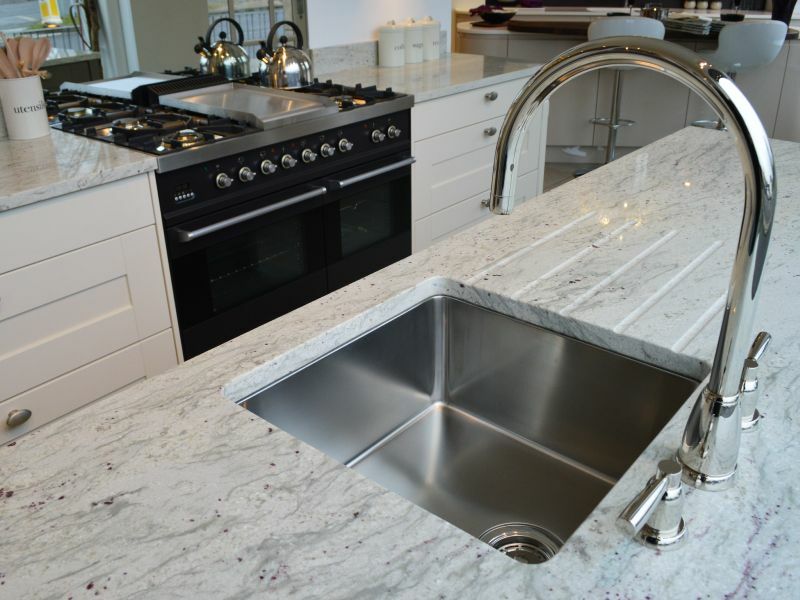 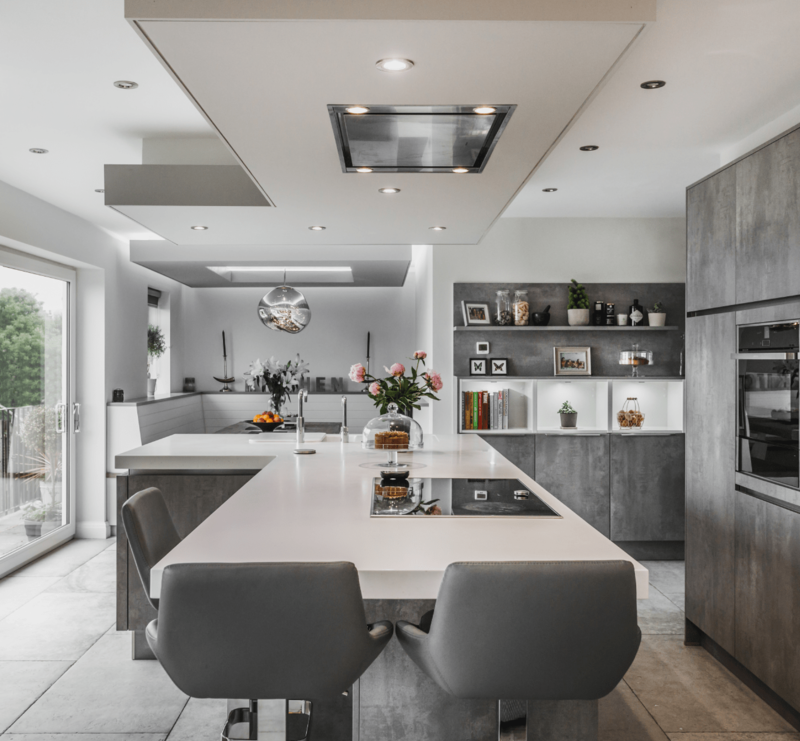 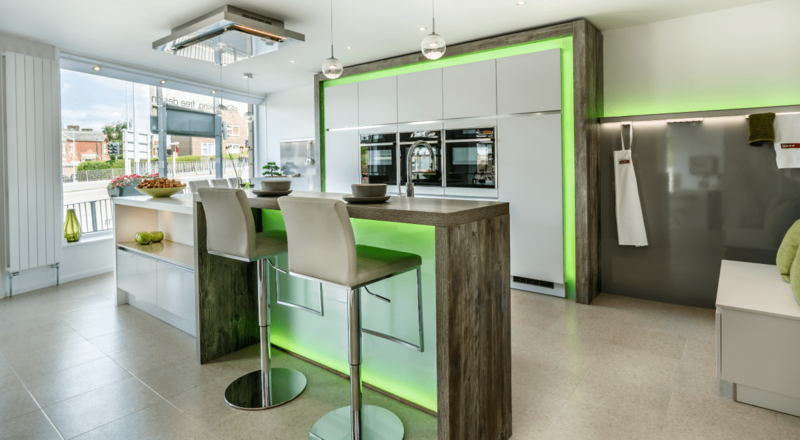 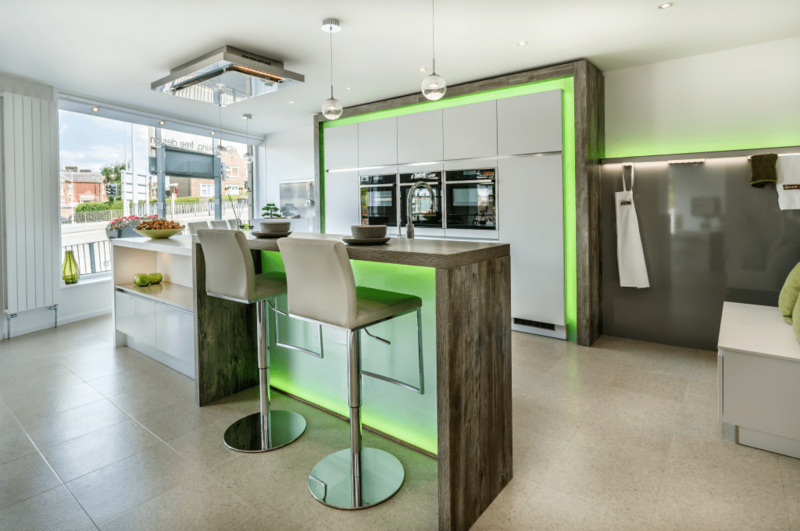 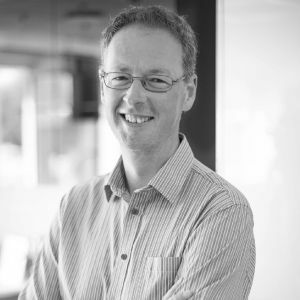 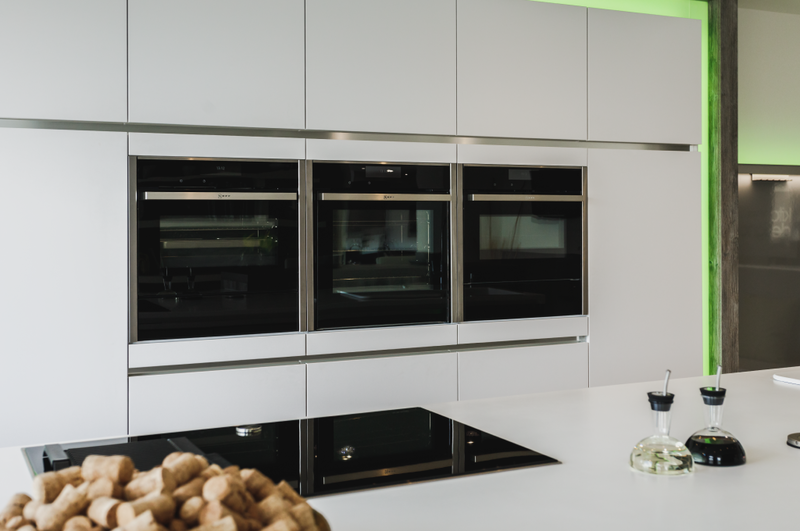 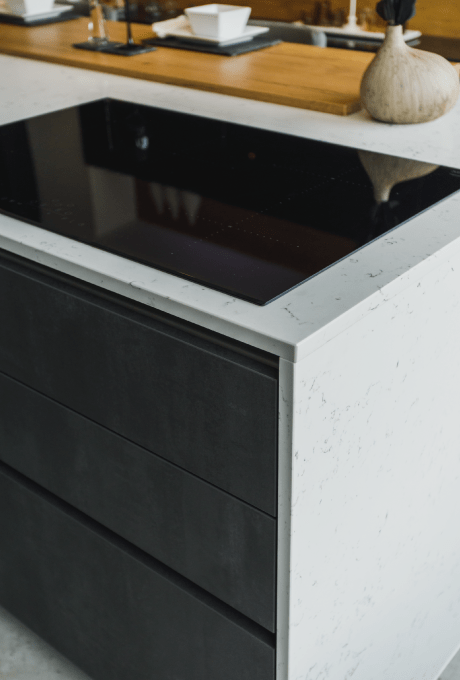 Then, when you’re happy with the final design, they’ll become your dedicated project manager as they oversee every aspect of the installation, guaranteeing exceptional customer service as we deliver the kitchen of your dreams. 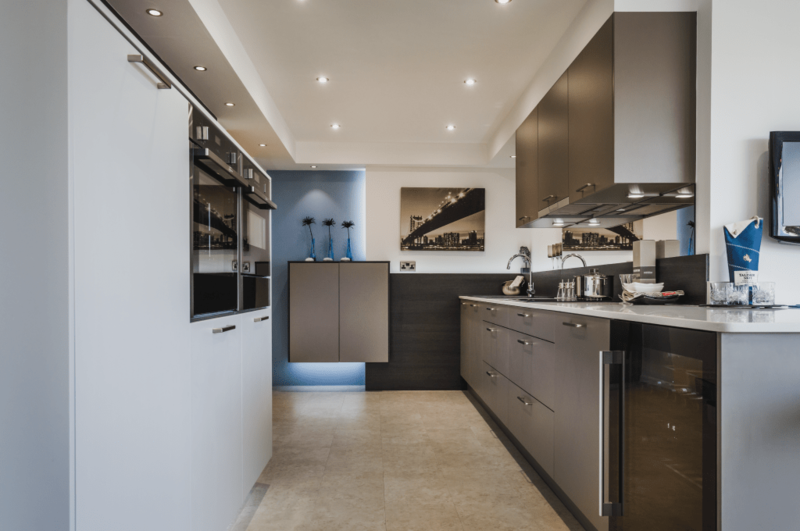 There are a couple of ways to get in touch with us. 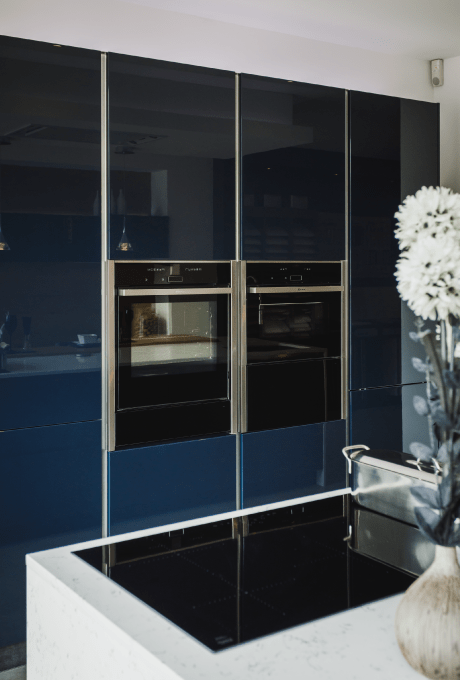 You can give us a call or email us using the details below, or you take a trip to one of our designer kitchen showrooms, where you can book an appointment!